In ‘Rick and Morty’, Rick’s and Beth’s dysfunctional relationship ultimately leads to a twisted kind of love. This article will discuss the dynamics of each member of the family and how they represent all of humanity. The way to show this is to understand one aspect of Rick’s self-importance: Rick believes he is god. As in, god of his own universe or any universe he comes across. Which, in the context of the show, may be true. All the Ricks of each universe did come together to form the Council of Ricks. As far as we know, no one else had done anything like this. There isn’t a Council of Beths, Jerrys (although there is a multiverse Jerry daycare) or Summer. As the god, everything is supposed to work according to the way he wants them to. This becomes important when we delve into his family and his relationships with each of them. In essence we’re asking, “How does Rick (the god) solve the problems of those living in his universe? To really give context, we have to skip ahead to the third season. The third season of the show takes a weird turn, which, given the content of the show itself, says a lot. In the episode entitled, “The ABC’s of Beth” we discover the world of Froopyland. 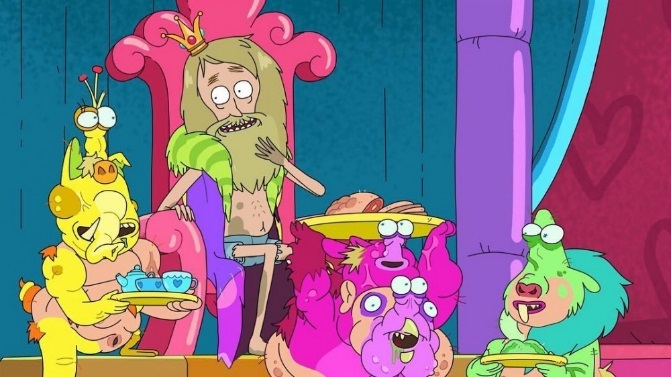 Froopyland is an artificially generated world created by Rick Sanchez from a collapsed quantum tesseract sometime in the 1980s for his daughter, Beth. The weather is always perfectly sunny, the river is a literal rainbow of breathable water to prevent drowning, and all the ground surfaces are bouncy to protect against injury. There’s not a parent in the world who wouldn’t love a Froopyland for their own. It goes downhill from there. Rick tells Beth he created it because Beth displayed psychotic tendencies as a child. Froopyland was not built out of love for his daughter but to protect the neighborhood from her. She asked Rick to create some devilish devices, including pink sentient pocket knife that talked and rainbow-colored duct tape. More on that later. Tommy refuses to leave. Beth ends up killing Tommy, cloning him, and then using the clone as evidence to free his father from the death penalty at the last hour. She’d rather kill Tommy than say I’m sorry. Much like Rick refuses to admit his own failings. In keeping with the analogy that Rick is god of his universe or any universe, then his relationship with each of his family members is affected by this thought. A deep look at these family members however, show they all embody the innate flaws of humanity. Rick abandoned her as a child. The abandonment a child feels from a parent, whether it’s a physical separation or mental distance, leaves deep scars on them. Beth wanted to be a doctor but when she got pregnant by Jerry with her daughter Summer, she felt as if she had to settle for less. She sees her occupation as a veterinarian who specializes in horse surgery as beneath her. For his part, Rick can’t stand Jerry. He sees him as a weak individual that people make excuses for. Yet, Beth ultimately still loves her husband. One has to wonder if Rick had been there in her life, would she had fallen for Jerry? When she discovers she’s an unwanted pregnancy, it devastates her. Until that moment, she was like any other teenager (minus Rick Sanchez) who was concerned about her status with her peers, and seeking approval, liking boys and whatnot. She, just like her mom, adores her grandfather although he’s a sociopathic, alcoholic, brilliant scientist. Finding out an awful truth about yourself can be heart wrenching. In her case, she found her presence was never planned. Yet, due to Morty’s horrible advice, she just pushes it out the way. His insecurities abound in the series. He’s unemployed, his children don’t rely on them, his wife seems more obsessed with keeping her father in her life than him. Insecurity about one’s place in the world or where you fit in can cause its own chaotic, downward spin. Jerry is always trying to prove something to himself. Rick deliberately sabotages their marriage. When Jerry tells Beth to choose between her father or him, she ultimately chooses Rick and plans to divorce Jerry. Instead of standing up to the dominant force that is Rick, he bows out. He is influenced a lot by the people in his family but the one who affects him the most is his grandfather, Rick. In the presence of his grandfather, a larger than life figure, he is forced to go along with him on their adventures in the multiverse. According to Rick, the reason why they travel on their adventures together is because Morty is a ‘cloaking device’ in which ‘Morty waves’ cancel our Rick’s ‘genius waves’. So in other words, Rick is using Morty for his own purposes. Unlike the other members of the family, Morty accepts Rick’s flaws and understand how his grandfather’s mind works. Now, we come to the heart of Rick, the god of this universe and any other he chooses to inhabit. A dad makes a toilet look like R2-D2, and it breaks the front page of Reddit, but I’m Charles Manson because I gave you your own world instead of an iPad. For Beth, Rick doesn’t want to admit he screwed up her life by not being there. Instead, he wants to take over the family as the dominant member of the house. But when things get too emotional, he runs away. For Morty, to get over his insecurity, Rick takes him along on his adventures. The kids at the school who seem cool can’t even begin to touch Morty’s experiences as he travels to different universes. However, Morty doesn’t get the chance to interact with his classmates. He can’t get a handle on his crush for pretty girl Jessica or learn how to just survive in his own world. For Summer, Rick acknowledges her free will to be whoever she wants despite the fact she was an unwanted pregnancy. Yet, he tends to favor Morty over Summer. For Jerry, he just wants to get rid of him. 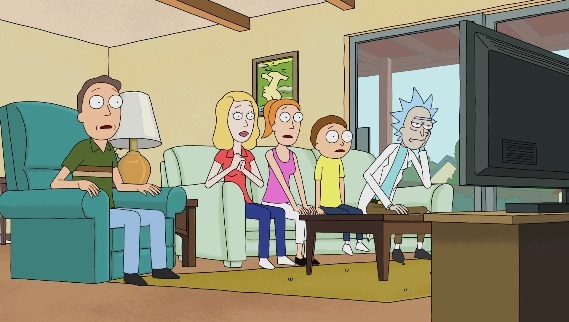 Despite Rick’s protestations and ridicule of marriage and commitment, he’s still ticked off Jerry got his daughter pregnant. To me, he’s never gotten over that. But he does admit Jerry loves Beth, even if it’s as a leech. Fans of the show really believe that Rick created Froopyland to stave off Beth’s sociopathetic tendencies. I disagree. Rick created Froopyland because…he loves his daughter. He made it safe so that nothing could harm her. As a matter of fact, despite what the creators will tell you, Rick loves his family. Loves them insanely. Else, why would Rick and Morty go on adventures together? In every universe, Rick and Morty are together. Yet, when you adapt a nihilistic worldview, that love becomes a chain. Self-gratification cannot reign supreme when love is involved, even a twisted love like Rick Sanchez’s. There’s one episode where Rick is being held captive by “Evil Rick” from the “evil dimension.” “Evil Rick” shows him glimpses of his Morty. As he taunts Rick with the images of Morty as an adolescent to a baby, Rick smiles. His eyes cease to have that blank stare or cynical expression. For a split second, Rick’s vulnerability is seen and the “Evil Rick” sees it, too. 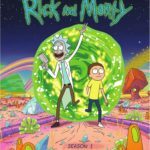 In yet another episode, Rick and Morty go to a universe where they get “psychologically detoxed’ “In other words, the worst things about themselves – Rick’s coarse attitude and Morty’s low self-esteem – are stripped from them. These toxic entities become sentient. Morty’s low-esteem embodies his kindness. Rick’s arrogance embodies his attachments. When the detoxed Rick shoots the toxic Morty, toxic Rick jumps in the way to protect him. You don’t jump in the way of a person you hate. In anything, you throw them into the path of the bullet. Unlike Rick’s godhood, the God of the Bible is not flawed. He does not run away from his responsibilities as Rick did with Beth. Instead of taking your mistakes from you, He gives you one life in order to learn along the way. Instead of trying to make you feel better that you’re not important, He gives you purpose. Your insecurities, He invites you to cast them onto His shoulders. 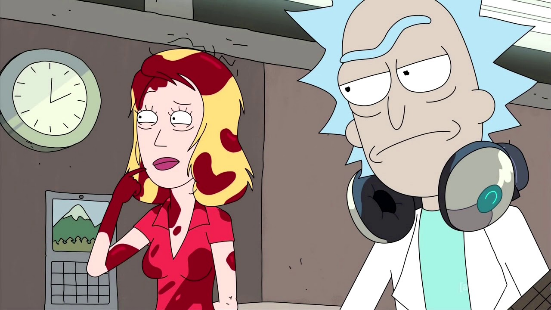 Despite the fact I believe Rick created Froopyland out of love for Beth, at the end of the day, he only exacerbated the problem by simply putting a Band-aid on the lack of his presence. The God of the Bible says that He will be with us always. There’s a lot more to say about this show which appeals and repels me in equal parts. It’s a great way to study nihilism and what happens when you can’t escape your own shortcomings no matter how hard you try. I actually like Rick and Morty, is that wrong? I just saw this so my apologies! I love the show, too! I can’t wait till the next season.